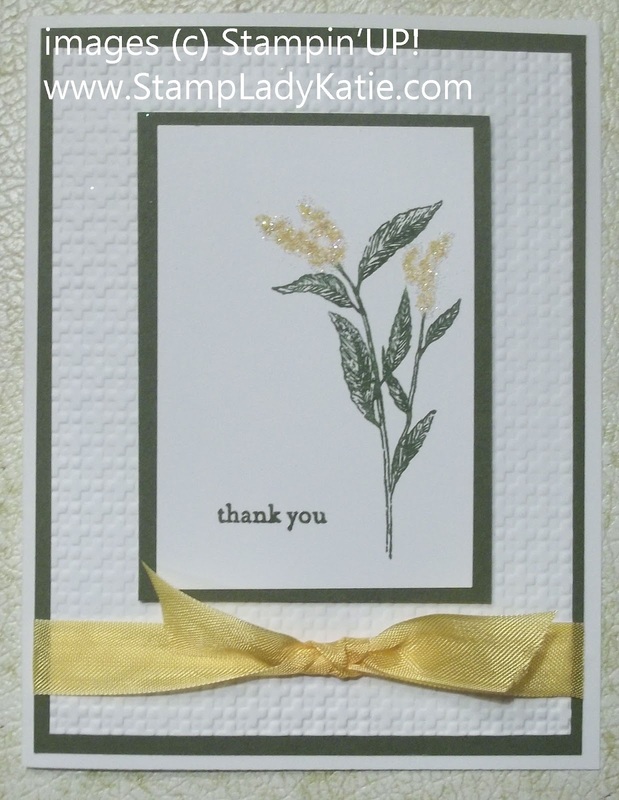 One of the best things about Stampin'UP! is the fact that all the colors Match! This is the major factor that first attracted me to this company. Its really important to me that the ink, the paper, the ribbons and the buttons and brads and glitter . . . that it's all color matched. And now Stampin'UP! has come out with a new color in the Seam Binding collection, introducing Daffodil Delight seam binding. I designed this card especially to show off the new seam binding. I wanted something quick and easy and this card was both. The flowers are "sparkly" because we added some Dazzling Diamonds glitter. Warning: the Seam binding is part of a "Sneak Peak"! What is a Sneak Peak? The term describes product that will be in the next catalog, but has been released early. The conditions of this Sneak Peak is that you can get it during the month of April, but then you'll have to wait for the new catalog before you can order it again. 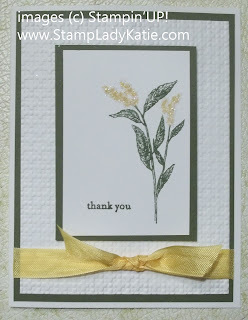 You can get the supplies to make this card at my Stampin'UP! store.